(Richmond)- Virginia officially has a new governor. Saturday afternoon, Bob McDonnell became the first Republican Governor to take office since 2002 and the first to take the oath in Richmond in 8 years. On a beautiful January day in the Commonwealth’s capital, McDonnell pledged to work to bring “opportunity to all”, a pledge that will be a challenge given the current economic conditions. *To see our recap of the event click here. *To see our in-depth look at the upcoming McDonnell Administration click here. 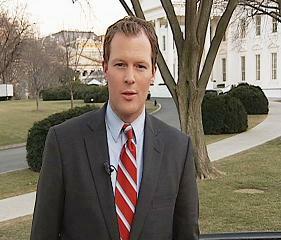 *To see our look back at Governor Tim Kaine‘s Administration click here. *To read the full text of McDonnell’s address click here. Executive Order # 2- Establishing the Governor’s Commission on Government Reform and Restructuring. The full release with details on both orders can be found after the jump. *Our special Inauguration preview special, complete with everything you need to know about swearing-in ceremony, plus never seen interviews with outgoing Governor Tim Kaine and incoming Governor Bob McDonnell. 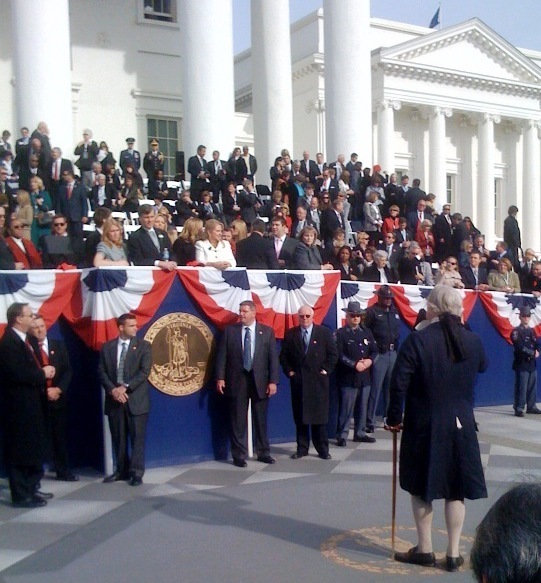 *Citizens from across Virginia celebrate the transition of power at the first Inauguration in Richmond in 8 years. Be sure to check back to Decision Virginia tomorrow during our special for extended clips from my one on one interview with Virginia’s next Governor. Attorney General- Elect Ken Cuccinelli was my live guest today on NBC12 First at 4. The Republican is just a few days away from being sworn in as the Commonwealth’s next top attorney, and has already faced some heat because of the people he has appointed to his senior staff. A political opponent of the AG-Elect pointed out to the Washington Post that the majority of his appointments have been men. Cuccinelli responded to the attack and talked about his donation of $100,000 to the Daily Planet in Richmond during our interview. You can see it, in its entirety by clicking here. The full release on his donation to the Daily Planet can be found after the jump.